Time again for some original militaria. I will start a small series about Japanese pockets ranks, they are also known as pockets hangers or pocket patches (not sure if there is an official designation for them). 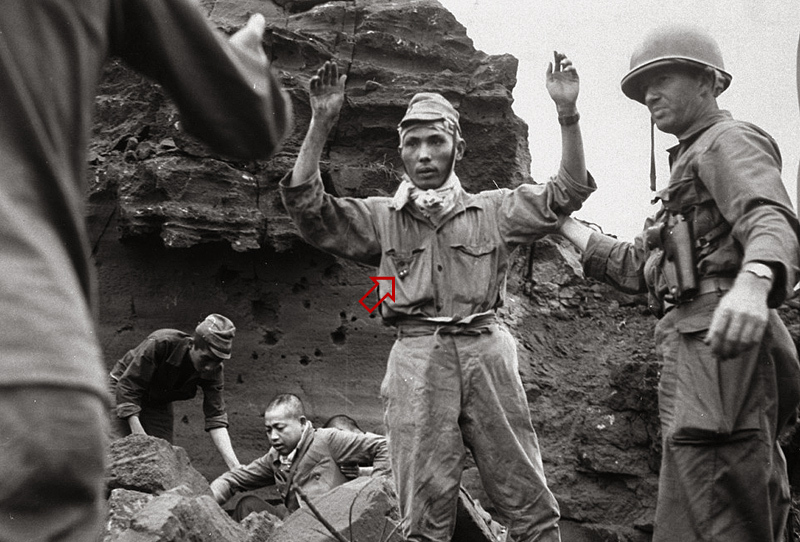 It was common for Japanese soldiers to not wear any rank insignia during combat, so the easy to remove pocket rank tabs were a welcome alternative to rank tabs attached to the collar. They were field made and there was no standardization, so construction details could vary widely. This makes them fun to collect, everyone is unique. Here is a rather simple one, the basic type of construction like this is quite common. They were worn by both officers and enlisted men, this one is for a “Gunso” (Sergeant). Some pocket ranks can be very elaborate, featuring commanding officers names, unit insignia and more. But as you can see this one is very basic and crudely made. ~ by m1pencil on September 14, 2013.